We are singing along this months to songs about weather over at Scrap it with a Song! This week's pick is "Let it Rain" by Amanda Marshall. The sketch is from My Scraps & More Sketch #29. The pic was taken last spring when we visited the Arizona Science Centre. My daughter had no qualms about laying on the 'bed of nails'! I am loving the wood veneer frames on your layout! Wow! Your daughter is very brave. Cool layout and wow brave girl... love it..
You have one brave daughter!! 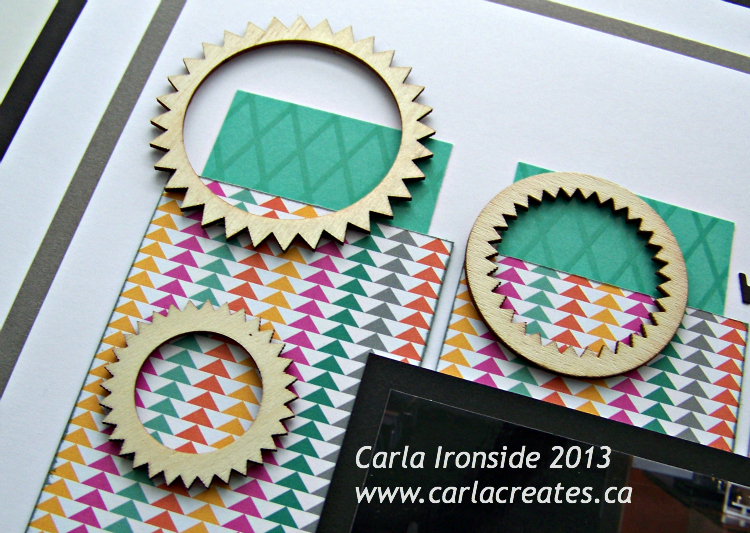 Love your layout and the wood veneer frames are awesome! Really cool graphic layout. And your daughter is soooooo brave!